50 fun-filled jigs and reels, hornpipes and waltzes, lively tunes and soaring melodies � it�s all here in an exciting collection that explores the mandolin�s phenomenal range and extensive repertoire. Songs include: Ash Grove � Cotton-Eye Joe � Devil�s Dream � Fisher�s Hornpipe � Haste to the Wedding � John Hardy � Little Old Log Cabin � Mississippi Sawyer � St. Anne�s Reel � Up Jumped the Devil � and more. By Deborah Greenblatt, the past Nebraska State and Mid-America fiddle champion. 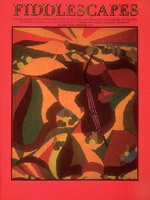 Contains many tunes, from hoedowns to waltzes, of all levels of difficulty. Tips on how to buy and take care of a fiddle; performing in fiddle contests; what to do and what to play; backup techniques; and much more. 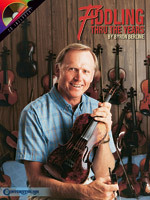 A fascinating journey through Byron Berline's award-winning fiddling career, this book/CD pack takes you from his early years through the present. 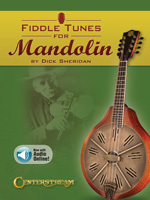 Berline covers basic beginning fiddle tunes, contest playing, bluegrass and other styles, thoughts of other fiddlers and musicians, and much more. The accompanying CD features songs demonstrated by Byron himself. 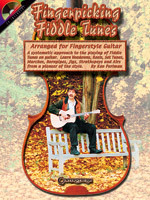 With this book/CD pack, Ken Perlman presents a systematic approach to playing classic fiddle tunes fingerstyle on the guitar. Learn hoedowns, reels, set tunes, marches, hornpipes, jigs, strathspeys and airs from a pioneer of the style! Teaches beginning or advanced guitarists how to master the basic musical skills of fingerpicking techniques needed to play folk, blues, fiddle tunes or ragtime on guitar.